The pattern is Anna Graham’s Market Bag, from her book Handmade Style. I made a Market Bag before, for my sister. With that first one, I used matchstick quilting and Pellon’s Décor Bond to interface the not-so-well-fitting lining. For this second one, I quilted a less-dense hexagon motif and interfaced with fusible fleece. I also took my time with the lining and made sure it fit well. This second bag doesn’t have the level of structure that the first one did, but I’ve already given it a test-drive, at my guild’s retreat. I give it two thumbs up. 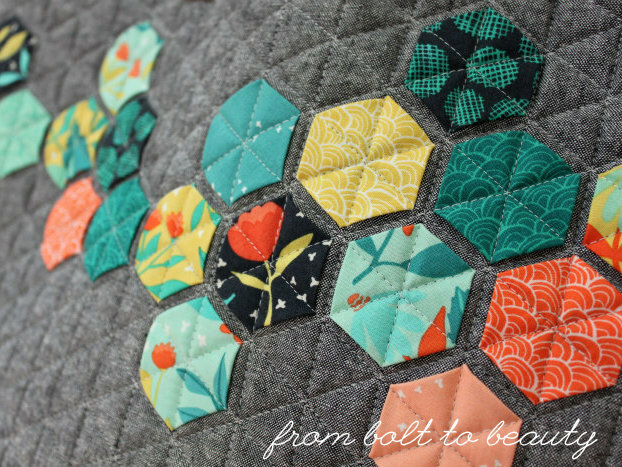 The hexagons were made from a charm pack of Midnight Garden, by 1canoe2. Note to my future self: I’m not 100% sure which way to go with a third Market Bag. 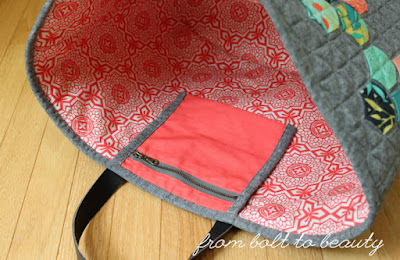 Consider finding a compromise between bag 1 and bag 2, like matchstick quilting and the fusible fleece. In any event, this experience is testament to taking your time and getting the lining right. 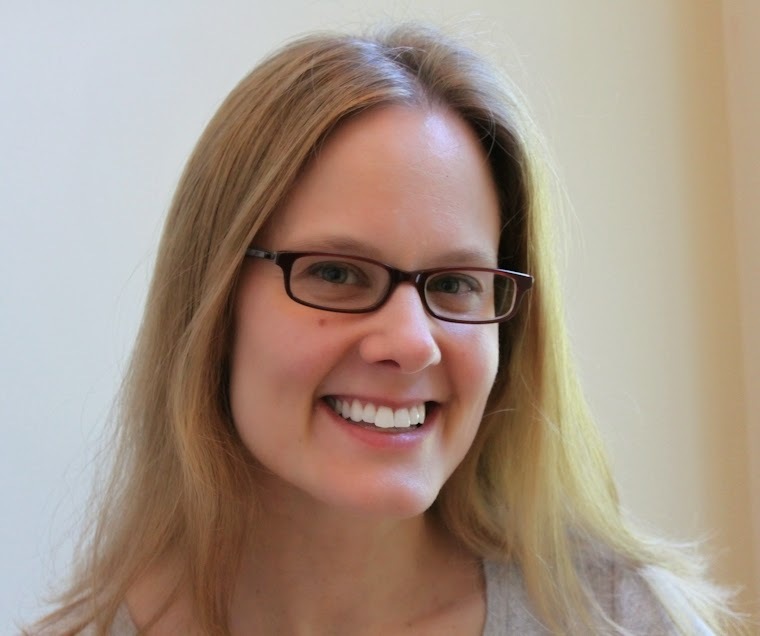 Your projects are worth it! Also: Definitely mark your quilting lines before you adhere the hexagons to the next pillow or bag; it makes the whole process saner. I love this hanging pocket and the lining fabric, a Joel Dewberry print. 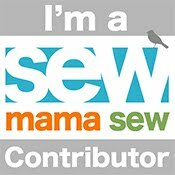 What are your recent triumphs at your sewing machine, friends? 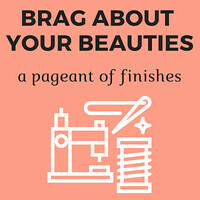 Bring out your beauties for the rest of us to see! The hexies look fabulous on the bag! 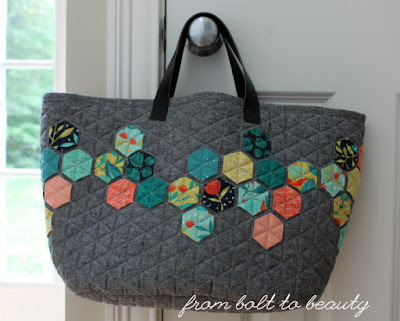 I have a bag to make that I've been considering putting hexies on...now I think I have to! I like the colours of your hexies! Have a great weekend. This is a very attractive bag. 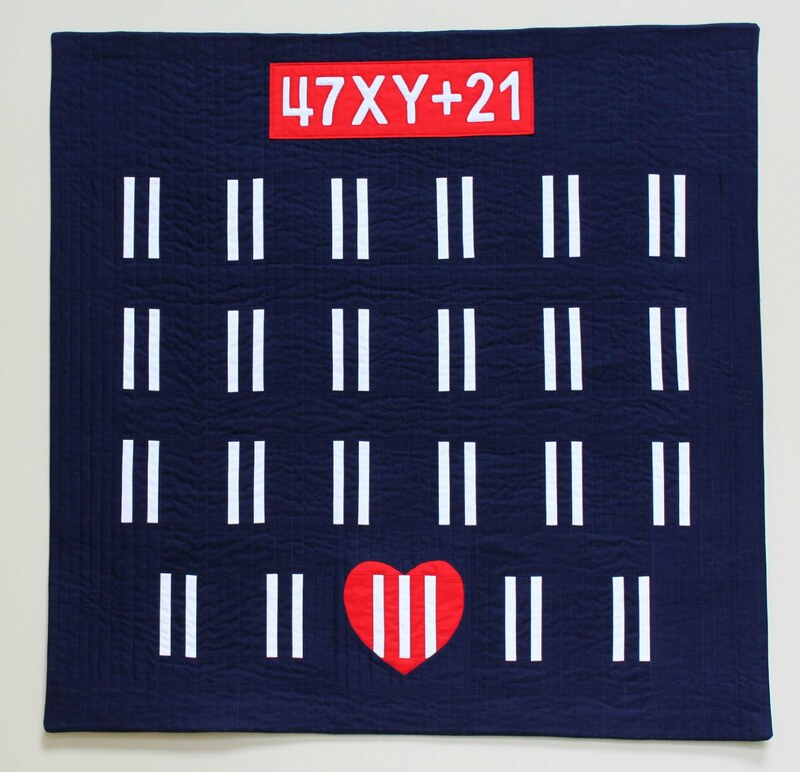 I like that you decided to gift yourself a project made with hexies. I’m glad you kept this for you! The bag is lovely and good notes to yourself (and tips for us) for the future. I have always loved how you do your hexies. Fun idea to use them on a bag! Thanks for the tips! It looks great. A bag was a great idea. It's so gorgeous and a great way to display the hexies.. Such a cute bag that you can keep for yourself. I've sewn hexies on a holiday wallhanging but I like this practical use of them.